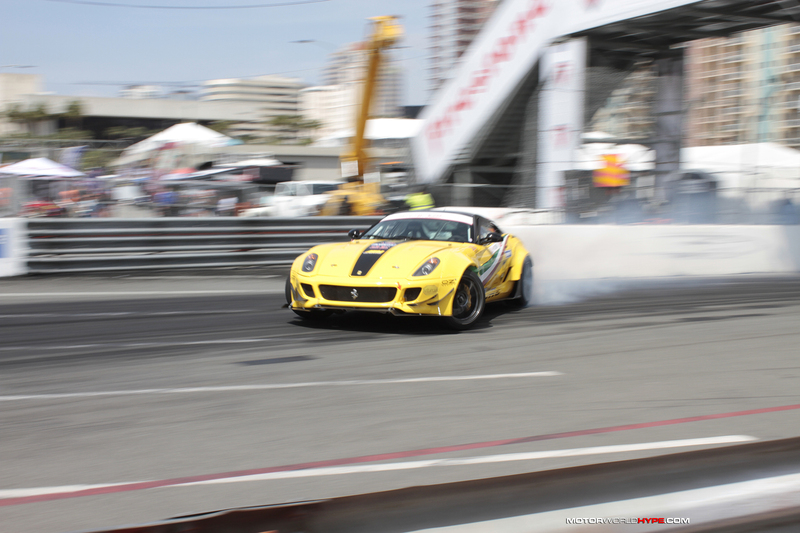 A lot of crazy things happened during the first round of Formula Drift over the weekend (you can check out the results and recap here) but easily the craziest and most talked about topic was Federico Sceriffo and his Ferrari 599 V12 twin-supercharged drift car. I will admit I had no idea that this car even existed before this week but once I got to the track on Friday morning it was the most talked about thing among the media. 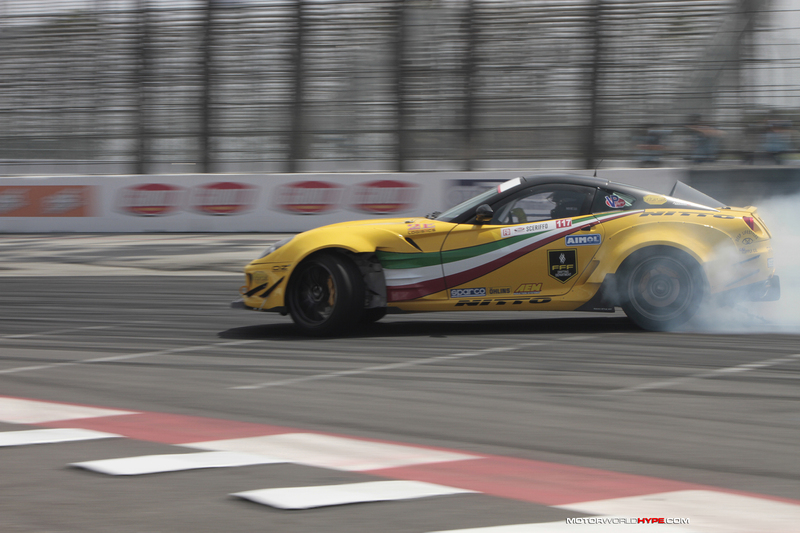 Federico Sceriffo is an Italian driver who was trained by the legendary Team Orange from Japan. Yes, in addition to Italian and English, Federico also speaks Japanese. 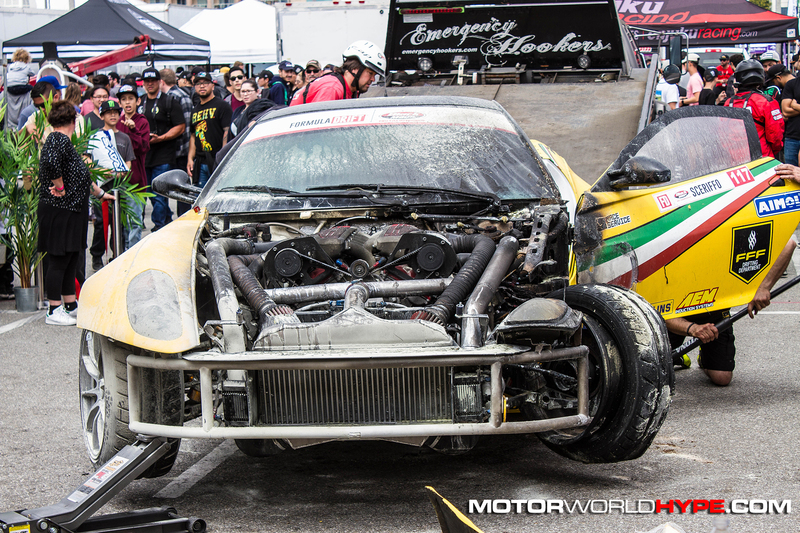 After going through an epic quest of putting together what is probably the world’s first Ferrari drift car, Federico was set on shipping the car to the states to compete in Formula Drift this year. 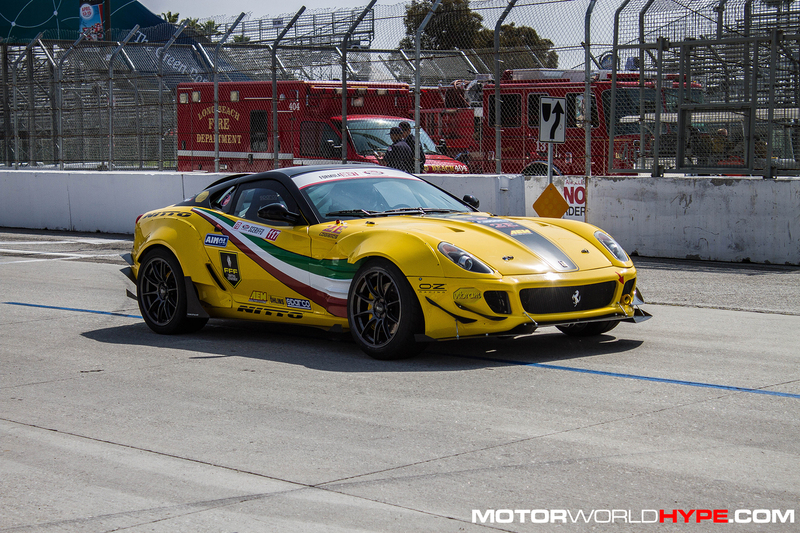 At first glance a large, heavy-ish car like a Ferrari 599 doesn’t seem like it would make for a competitive drift machine but to my shock Federico was absolutely killing it during Friday practice. He even made it through qualifying and got into the Top 32 where he would go up against crowd favorite Chelsea DeNofa and his purple Ford Mustang RTR. In the first run Federico was set to chase against Chelsea and during initiation, Federico’s Ferrari made contact with Chelsea’s Mustang. 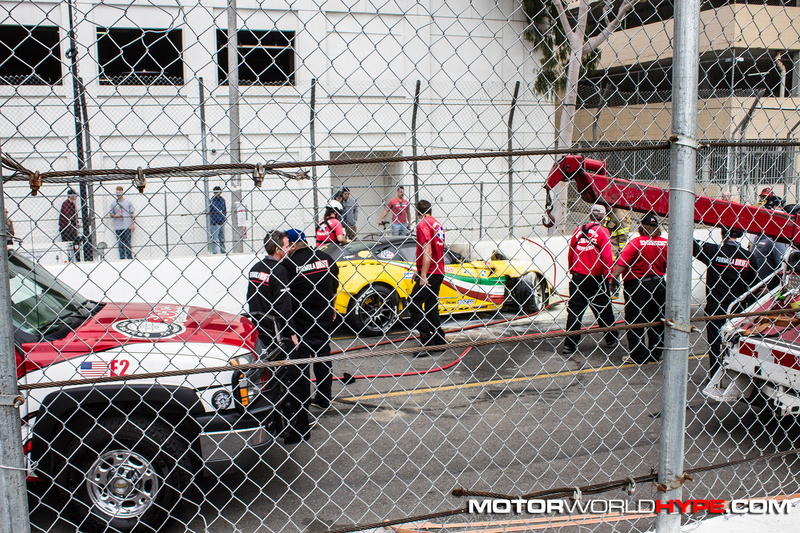 It seemed like a significant hit but both cars were able to continue their runs. During the second run with Federico leading, his drivers left front steering knuckle broke (probably after being damaged from the previous hit and it caused his car to go straight into the run off after the initiation point. 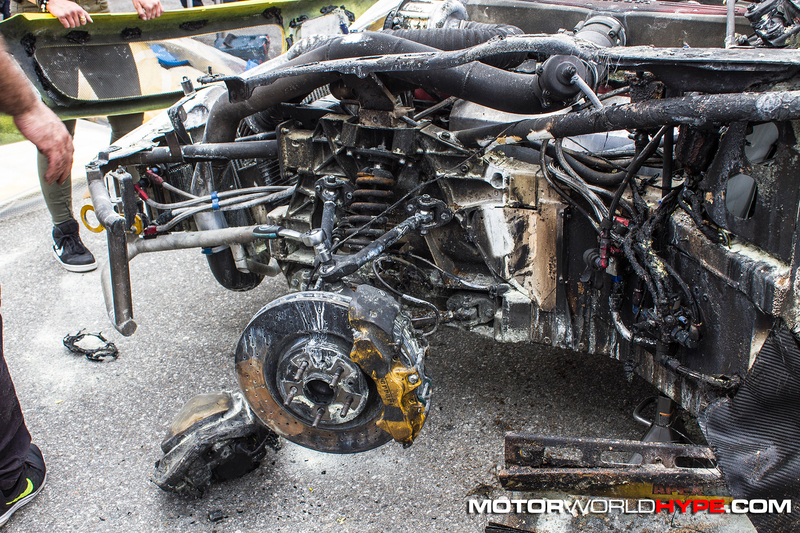 It seemed that was the end of it but all of a sudden the front end of the Ferrari burst into flames! The broken knuckle pinched some lines (likely fuel) and caused fluid to hit the hot exhaust manifold which caused the ignition. There was a good one to two seconds of extreme terror as it looked like Federico was stuck in his car while it burned since the driver’s door was very close to the wall. Though luckily Federico was able to get out. He attempted to hit the fire suppression system button by going back in through the passenger’s side but it either malfunctioned or he wasn’t able to reach it. He helplessly watched the Ferrari continue to burn, unable to do anything about it. His frustration was visible and was even driven to tears at one point. A few moments later track support reached him and firefighters put out the flames but by then most of the Ferrari’s front end was literally toast. The car was towed back to the team’s paddock and it was there that I was able to see damage up close and let me tell you, it looked really bad. Though in actuality, it looked worse than it was. In fact the team actually started working feverishly to repair the car! I didn’t understand it at first. They lost the battle to Chelsea so there was no hurry to get the car back out on track. I incorrectly speculated that maybe they were trying to get the car running again to do some sort of impromptu exhibition run just as a show for the crowd. I later realized that they were just trying to get the car fixed for Round 2 in Florida! That’s how serious they are! They are here to compete first and foremost. Flaming Ferrari jokes aside, it was hard not to root for the guy at that point. Even as his car was still steaming and his team was working on the car surrounded by a massive crowd of on-lookers, Federico seemed to accept the situation and take it in stride. He even cracked a few smiles and joked with his crew as they worked while also taking a few moments to talk to fans and colleagues about the incident. Federico may have bowed out in a spectacular fashion during this round but I think he gained a ton of new fans that day; Including me. 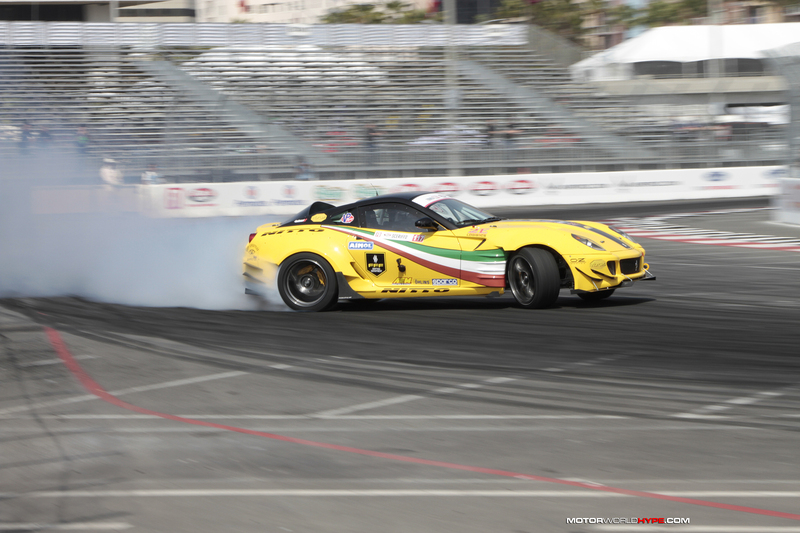 I’m looking forward to seeing him and his Ferrari back in action at round 2! Do you think Federico has what it takes to be a serious contender this year? 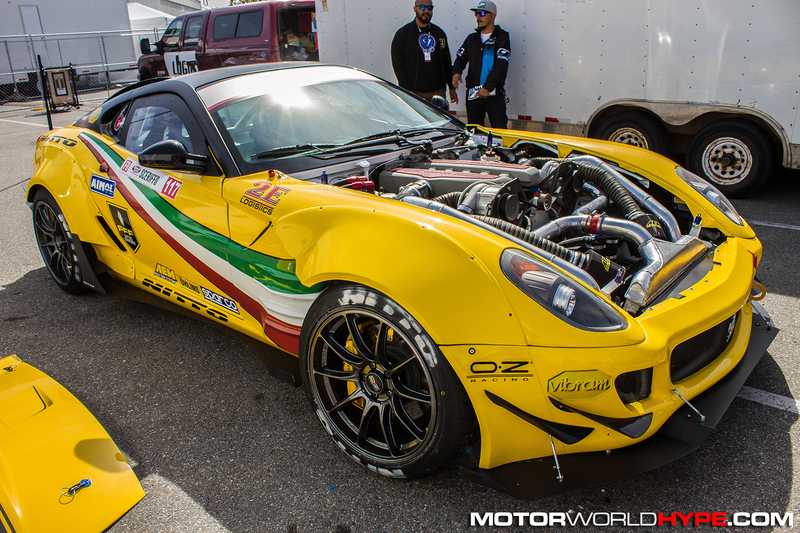 Let us know your thoughts in the comments or tweet to us at @MotorworldHype. For more pics check out the gallery below.